Pinterest is the latest rage among the avid social media community of enthusiasts and professionals. Many of my colleagues have been pushing out blog posts touting this new social network relentlessly over the past two months, reminiscent of the Google Plus launch. I have found much of it hype and designed to drive traffic to their blog, rather than anything containing substance. All of the crazy hype got me thinking about the platform, the underlying technology and user base. As usual, I do not shy away from controversial, forward thinking social media and industry ideas, so last week I made a prediction about Pinterest. “I predict within 90 days Facebook will modify their photo functions to mimic Pinterest and remove the desire and growth of Pinterest.” – Further: FB will integrate this and make Pinterest’s growth outside of current user base insignificant. 1) Facebook isn’t just gonna sit back and let that traffic build on another platform. 2) For the average user (750 million on FB) they want everything in one place. 3) It’s a very simple technology change to how photo’s are organized and shared on Facebook. 4) Facebook already has the userbase to make it stick and the infrastructure to maintain any level of growth. 5) A few commented that Pinterest has a very loyal following. I don’t doubt that, but so does Facebook and it’s about 775+ million larger. 6) Facebook doesn’t have to convert all of the loyal Pinterest users, just the userbase already on Facebook that have not gone to Pinterest yet. Game over!! 7) Others commented on the unique platform as a reason Pinterest is better. Parallels were made to Google Plus and how “It’s about the system…and it’s growing.” My response is that cool platforms do not matter, market share does. I further commented that Google Plus is the biggest wasteland in Social media. It is also the biggest gaming of search engine manipulation by a site and it’s users ever. All of this will come back to haunt Google itself. 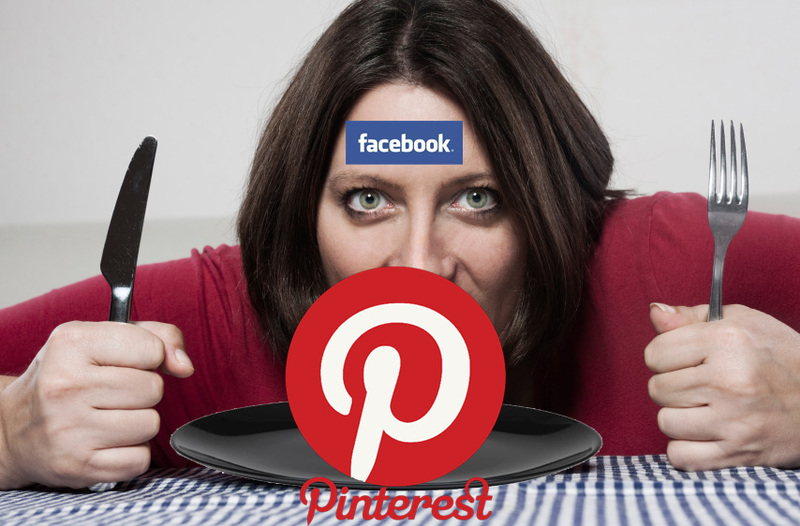 8) Finally I do not think that Facebook will acquire Pinterest. There is no unique technology that can’t easily be duplicated within Facebook’s infrastructure and most Pinterest users and/or potential future Pinterest users are already on Facebook. Finally, Facebook does not typically acquire competition or technology. These three factors make an acquisition of Pinterest unnecessary and highly unlikely. So there you go… My prediction about Pinterest and Facebook. Like it or not, agree or not, it’s what I would do if I were Facebook. Hi Laurie…Pinterest has written a new TOS that removes this risk. It goes into effect on April 6th. Best wishes!! I’m excited to see if your prediction comes true, Robert. I’m eagerly watching! Thanks for the great post. At best, Facebook can easily add a way to grab images from URLs… in fact, they already do, when you share from a website TO Facebook. The work involved to reorganize the way they handle photos, however, is absolutely not trivial. To mimic Pinterest’s functionality, they would need to allow users to categorize photos on upload, and then also allow users to see all latest photos, to search for categorie of photos, etc. They would need a way to display groups of pictures. They would need, in actuality, a LOT of other architectural changes to make that happen. Such major architectural changes are, as you say, certainly technologically possible — but to quote St. Paul, “All things are possible, but not all things are beneficial.” Why would they undertake this project — and the huge expenses and issues involved with enterprise-level architectural changes? It’s not like people are leaving Facebook to join Pinterest. Pinterest is in no way a threat, either real or potential, to Facebook. From a business perspective, then, at least to me, it seems like Facebook will be much better served to let Pinterest do what Pinterest does. Of course, that is MY opinion — yours is different, and thought-provoking, and that’s good — it will be interesting to watch this play out! I hear what you are saying David. We disagree on two main points as I see it. 1) The changes to technology on the Facebook platform are in no way rocket science, and would certainly not be huge as you have stated. 2) Facebook makes money from traffic and eyeballs on ads. Since Pinterest is taking eyeballs off Facebook, it is clear as to why Facebook is far better served to incorporate this. Additionally, MOST people prefer having everything in one place. I am referring to the average social networker, not us pros and geeks. Thank you for jumping in on this one! I do certainly take your points, and they’re well-made. You might certainly end up being right! Just from the perspective of, among other things, a software engineer and architect, it’s not the technology that’s the issue, it’s the huge job of architecting and coding it all: Pages would have to change. Functionality would have to change. And most seriously of all from a system perspective, their database structure would have to change — and for a data-driven company, that’s huge. well if I were coding it, I would not CHANGE the structure of existing photo’s but rather ADD to the structure with this simple platform. Not much to that. You hit the nail on the head on #7 (Google +). While I’m on it, for the search engine manipulation, they’ve missed the boat. I’m still entertained by the occasional article on how Google + is going to take over the world and put FB out of business. What are these people smoking? Well done Robert. Pinterest has two major qualities contributing to its popularity: Visual Beauty and Simplicity. Facebook (at least until this point) has not been either especially attractive, nor has it been simple from a user interface perspective. If anything, it is almost overstimulating in the amount of different kinds of data, games, add-ons and ads and not-so-intuitive interface. I could see FB adding functionality to mimic Pinterest’s ability to curate other people’s images, yes. However, would this be as visually stimulating to those who were most attracted to Pinterest; designers and women pinnning their dreams? Great post – and I agree, Facebook won’t just sit back and let another website build more users than they have. FB has a God complex – they have to be the biggest and best. I think they will start trying to implement more of these features. Well I don’t think there is any concern of Pinterest getting more users than Facebook, but any platform that diminishes traffic and the stickiness of Facebook will see a response by Facebook. Thanx for jumping in Desiree! Totally think this is a no brainer. FB is not that stupid and probably has had plans in the works for a while now…. Completely agree… Thanx for the comments! Actually, a circle of friends and I started a photo album we like to call “Wish Lists” where we were uploading photos of things we would LOVE to have someday. I add urls and comments to the photos and my friends add more comments about where to find it cheaper, etc, etc. We have been doing this since the inception of our FB accounts. Prior to that we did the same thing on other social networks and as we moved to FB we moved our Wish LIsts with us. It is an old idea, been around forever in many forms, will be around forever in even more forms. The one that will win will be the one that mimics our idea, a photo album that allows for links, comments, and actualy price quotes. I agree with this. I’m not going to leave Pinterest because I like it a lot. Facebook likes to constantly change – that’s just how it is. FB adapts and since day one (I did not see that movie, BTW) it was a copy of another product – or maybe I should say a derivative. Having previously been a higher education judicial hearing officer (in other words my boss was the Dean of Students) it wouldn’t surprise me if something that is against the policies of a university would then become a huge profit-making enterprise. It also does not surprise me that they would smell profits of a “competitor” and try to do something for people jumping ship. For God’s sake, you can’t even jump ship from Facebook if you want to… I’ve tried about 3 times. They save all of your information forever and when you come back it’s like you never left, so what’s the point in leaving. Pinterest is a place for me to go when I want to escape the nonsense of Facebook. It’s more relaxing and I don’t have to respond to people I met in 7th grade telling me they don’t like my political views. I’ll post my fun stuff to Pinterest and my serious stuff to Facebook and let people have at it while I’m not even logged in. LOL no doubt many have a lot of reasons for why they like Pinterest and how they use it with or instead of their Facebook. But in the end, it’s about business and this is certainly something I would do if I were facebook. I actually really like how my Pinterest pins appear on my Facebook page using the Pinterest app on Facebook. That way I don’t have to also post them to Facebook and I can just openly share with all of my FB friends. I think that because I have it on my FB page, a lot of my friends joined Pinterest because they saw my activity on there. If you look at my FB page, 97% of it is pulled from another source – Get Glue, Tumblr, Pinterest, Dlvr.it, and other automatic posts. Most days I only log on to Facebook to make sure those auto posts are looking good. I’ve gotten to the point that people are asking me “does a robot run your Facebook page?” and I say “Yeah pretty much” so they stop sending me messages on there. I want to direct people to my own blog as much as possible. Great post – as much as we (online communities) enjoy doing a lot of things in one place, like Facebook, there still are times to keep things separate. That’s not to say that Facebook won’t try and do a Pinterest-type thing – your monetized points are well made. But I’m finding Facebook like a swiss army knife – great to have, they look cool – but to do anything with results we go to the specialized tool. To that end Twitter is a microblogging tool – and so is Facebook. Yet it’s not stopping people from using Twitter – or Facebook. I think a stat that would be good to know is how many minutes people are spending on each – and what the trend for both shows. I agree Scott, however if you are not doing a ton of business on Facebook as well as Twitter you are missing it!! They are different platforms and used differently. Knowing your audience and their individual personalities enables you to use each differently with the different personality types within your target market. By far the average user is spending WAY more time on Facebook then Twitter. Many stats on that. Again, different platforms each used differently to be effective. Facebook did acquire the Gowalla team, but I agree that they don’t typically do that. I also noticed that Facebook doesn’t always win when they try to keep people on Facebook. Foursquare is one example of Facebook doing what you said without much effect. Foursquare is still alive and well. The same goes for when Facebook tried to take down Twitter with the timeline. I predict that in 90 days Pinterest will be even bigger. I believe it is a visual version of Twitter and we all know Twitter is here to stay. Robert, I think you’re onto something with this – Facebook will make every effort to prevent every other platform from taking a piece of their social pie. I have not joined Pinterest and don’t plan to – it’s not a very safe practice, and the liability is enough to keep me away. The liability is largely diminished with the new changes to their user agreement, but I understand Crystalee. I tend to agree, I’ve never jumped on the Pinterest Bandwagon because I think it will inevitably go the way of the dodo bird. Nevertheless, perhaps part two of your blog should be entitled, “What I would do if I were Pinterest to avoid being “Pinned” for the count by Facebook”. In my opinion wrong. I love that I can, in a pretty safe way, connect with many people outside of my friends and family circles. Facebook keeps reinventing itself that it is losing some, though very small ground. I am not going to open up my facebook to strangers looking in. Some of the pinterest (and twitter peeps, present company included) have been included into my facebook family and friends, but to open up a picture gallery is an all together different story. I may be a bit biased, as I work in a business that demands visual attention over content and the drive to my website is brilliantly working. Prediction is that they both just stay in their own corner. Will facebook reinvent how they do pictures? Of course they will. I agree. Facebook copied Twitter (news feed) and G+ (new wide photos), so it’s only logical that they’ll copy/mimic Pinterest, too. I don’t think Pinterest is going anywhere, especially now that it will soon offer private pins, since people can use it both to look for ideas, and create projects within it. I also find the simplicity of Pinterest a great asset, something we cannot say for Facebook. Facebook also has a weighing system, giving links that point to content within Facebook more point value than those that point to outside of Facebook. The fact that Pinterest does not include that discrimination makes it more appealing to me. Thanx for the input and feedback Sherry! OK, I will give it a go. The strength of Pinterest is its design and layout (or it was until Pinterest changed the layout of boards to a ‘one-key-image-and-the-others-packed-tight-underneath). I don’t think FBook can emulate that precisely because FBook wants you to see streams and engagement and advertisements all the time to ramp up the noise. However, I doubt that Skimlinks earns Pinterest enough money to satisfy its running costs so I think the problem for Pinterest will be internal – how to keep the ‘look’ and also make real money from it. OK, I like the idea of having two platforms that you can monetise – by targeting on FB and perhaps sending across to Pinterest or vice versa allows clever marketers to monopolise on a captive market. This is indeed the end goal for all concern. FB can change or modify their infrastructure to accomodate – but I feel that they know that they are too big to worry unduly about losing share of traffic, and by allowing users to login using FB – Pinterest acknowledge that there is a win-win situation for both platforms. Ok, so maybe that’s two combined :p. Friendsheet (www.friendsheet.com) is an app approved by Facebook that turns it into a “Pinterest” pinboard layout. Where I don’t think Pinterest will disappear, I definitely think Facebook will (and from the looks of it, has) retaliated. Yes Dave, I have heard this. However, an app won’t completely cut it. It must be an integrated FB feature. If they actually do what I am predicting within their own system, it will be effective against the leak. Thanx for jumping in with that Dave! Great Post. There is one other thing that Facebook can be positioning itself to achieve. They want to encourage the users of Pinterest to come back home, where they can do everything they were before and so much more. Does someone have a coffin for Pinterest yet?